Easter will be here soon so I designed an art print to remind us of the death and resurrection of Jesus Christ. 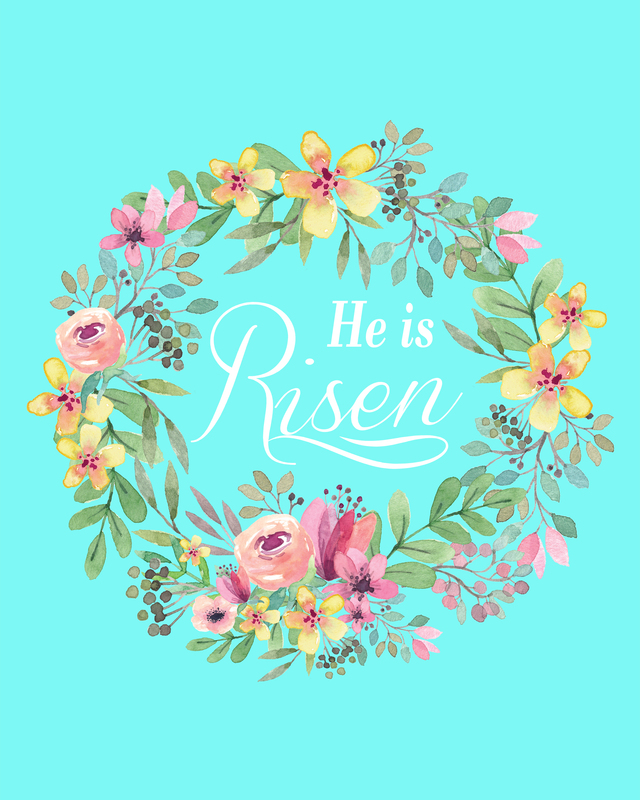 I am sharing this He is Risen Easter Free Printable with you! This art print features a beautiful floral wreath with the bible verse Matthew 28:6 in white typography. Like most holidays, things get busy and hectic and this print will help remind me why we are celebrating Easter. This art print will be perfect to add to your Easter decor around your home or office! All printables and downloads designed by Rays of Bliss are for PERSONAL USE ONLY. Please do not alter or claim as your own. This file is for personal use only and not intended for resale. Feel free to link back to www.raysofbliss.com if you like our printables. I attempted to print your “He is Risen” print and when I tried to print an 8X10 it printed a large partial print. Are there any suggestions for printing it? I really do love it! Hey Mary, are you trying to print pdf file or jpg. Either way I would suggest looking for a fit to page or shrink to fit option in your printer settings. Hope this helps and I’m glad you like it! Thank you for sharing these beautiful pictures with us all. God bless you!